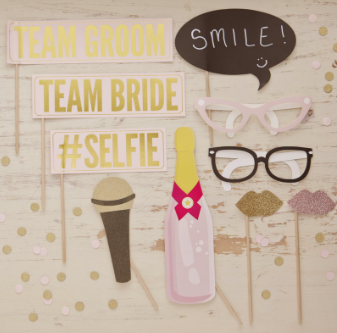 An exciting photo booth kit with ten props on sticks. 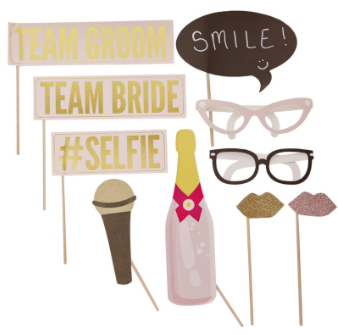 Includes: Team Bride, Team Groom, #Selfie, shimmer microphone, 2 x glitter lips, champagne bottle, 2 x glasses and a chalk board sign for writing a personal message. 10 Props per pack.